There's a lot going on on the web, and choosing where to focus is always evolving. 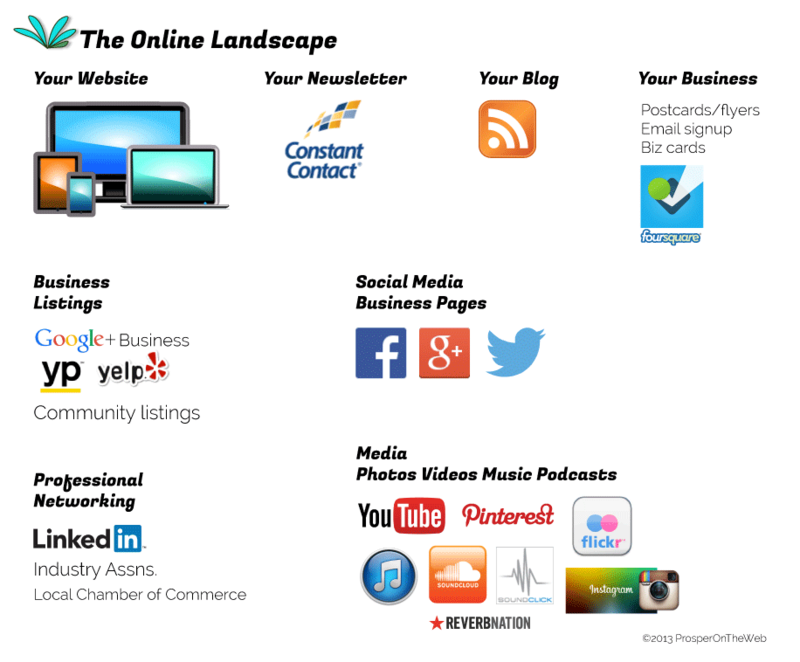 Your online presence might involve any of these services. We can help you prioritize and figure out where to focus your next online effort. Contact us to discuss your online needs. ProsperOnTheWeb can help.